This work documents health system and financing in Bhutan; a model that draws strength from country’s commitment to provide universal and free healthcare inspired by Gross National Happiness development framework. Consequently, out of pocket expenditure on healthcare remains among the lowest in the world. However, as the study reveals, having a publicly organized free health system is not a panacea for financial protection. 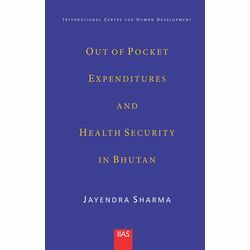 The study uncovers evidences surrounding magnitude, distribution and determinants of out of pocket expenditure being incurred by Bhutanese households. Besides some policy options for enhancing financial protection and security for healthcare in Bhutan, the study presents a useful discussion agenda for health financing reforms in comparable countries.